Royal Wood Tree Service Ltd, previously known and doing business as Royal Wood Tree Care, is a medium sized, arborist tree service company, based in Delta. We are staffed and equipped to handle large tree removal and tree pruning contracts. 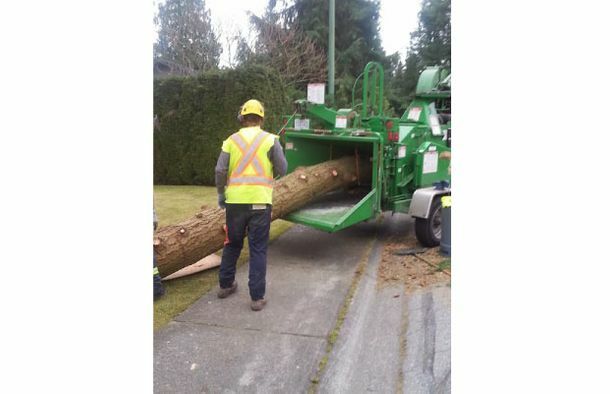 With a fleet of four specialized tree service trucks with chipper and a staff of 12 arborists, including a certified arborist and a BC utility arborist, we offer quality production tree services to residential and commercial clients in a modern and efficient manner. Our reputation in tree removals and tree pruning is recognized by our commercial clients. Our larger commercial projects include: property management tree pruning, golf course tree removals plus tree pruning and contractor tree falling. Our significant customer referrals in the residential and commercial tree service operations indicates a high customer satisfaction. Properly pruned trees, shrubs and hedges enhance the beauty, enjoyment, safety and financial value of a property. 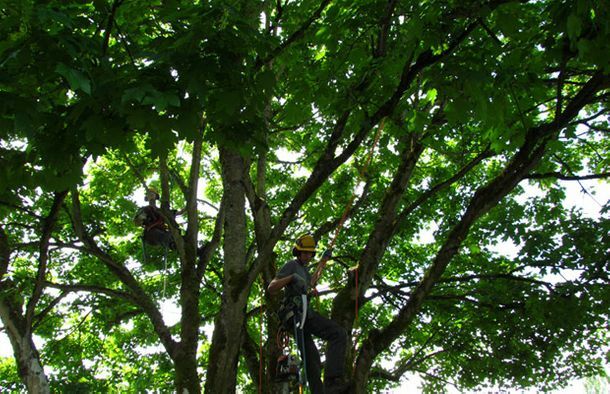 Tree Service (Tree Care) provided by a qualified Arborist is an investment in your property. 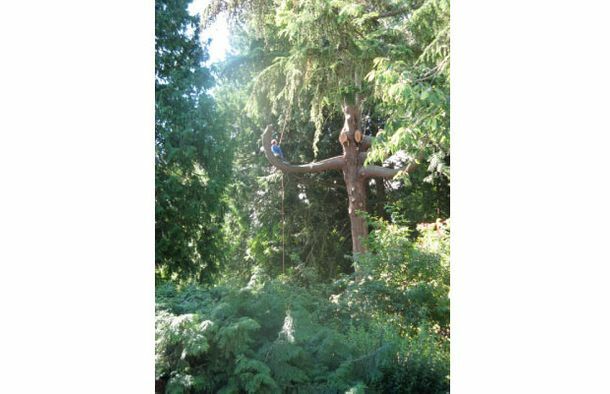 Also, Tree Service or Tree Care by a qualified Arborist provides a “peace of mind” to property owners, especially during adverse weather. Our Senior Arborist and co-owner Nathan Spowage is an ISA -certified Arborist and Tree Risk Assessor (PN7647-A). 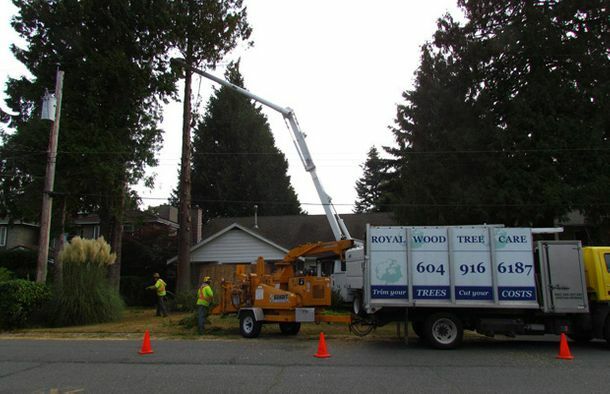 Royal Wood Tree Service is conveniently located in the heart of Delta and services Tsawwassen, Ladner, North Delta plus the neighboring communities of South Surrey , Richmond and Vancouver. 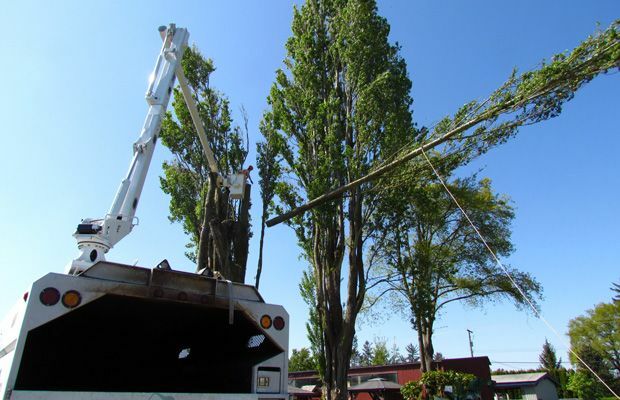 Royal Wood Tree Service is a chosen provider of tree services by thousands of residential clients and many commercial owners and managers. Our commercial tree service clients include strata owners, property management companies, landscape and maintenance companies, contractors, golf course clubs and insurance restoration companies. 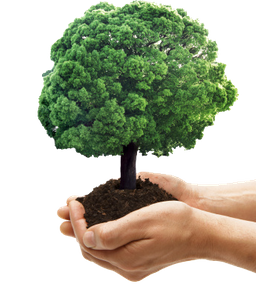 Royal Wood Tree Service is operated by the owners and is motivated to earn your business to promote and grow our business. 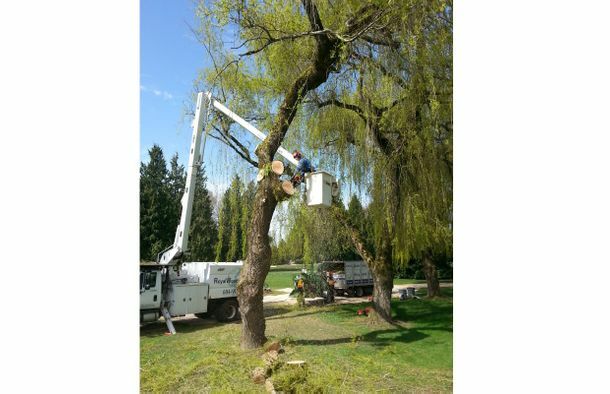 We operate four crews each supervised by a trade certified arborist. 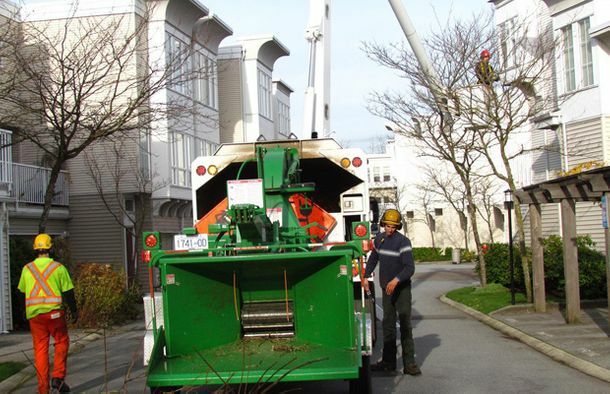 We use modern high capacity equipment, including tree service elevator bucket trucks and safe efficient high capacity chippers. 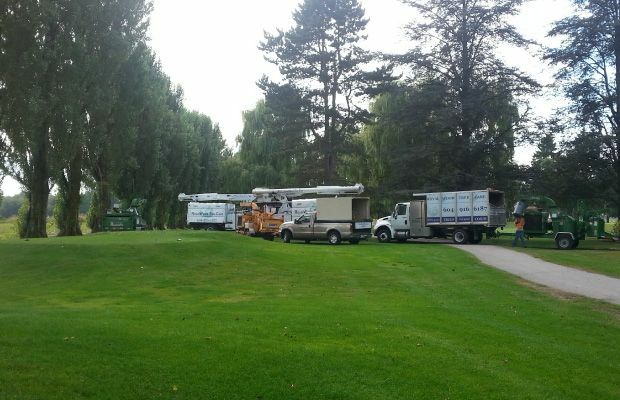 All for the providing of safe efficient tree service operations. 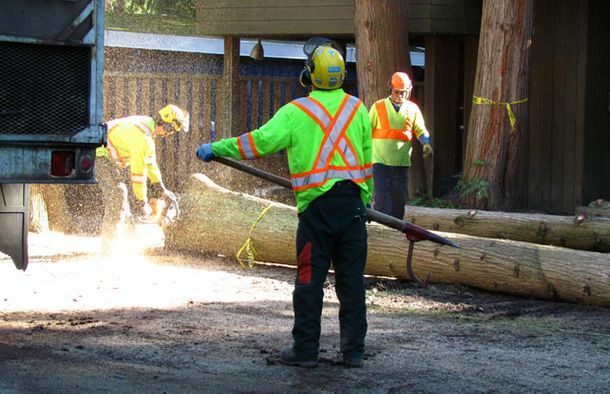 Royal Wood Tree Service is a Worksafe BC, C.O.R. 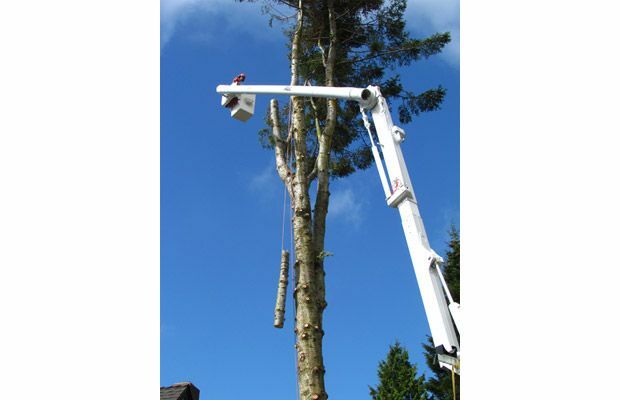 (Certificate of Recognition for Safety), tree service provider. Being a Delta based tree service company, our location is well suited to serving the communities of Delta, Tsawwassen, Ladner, North Delta, plus the neighboring communities of South Surrey, Richmond and Vancouver. For residential customers we focus on this area. 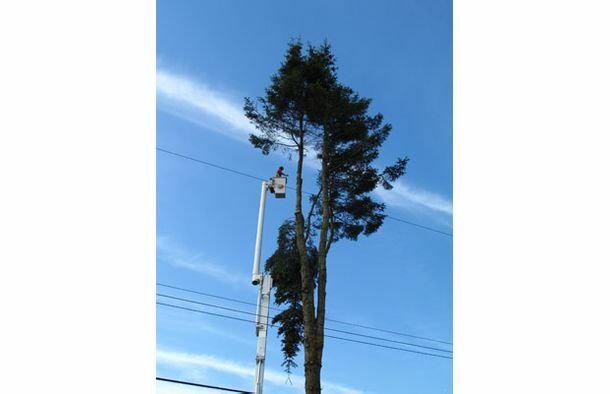 For commercial tree services customers we service the metro Vancouver area. Royal Wood Tree Service provides free tree service quotes, tree assessments and tree service permit assistance. We are professionally trained and fully insured with liability [$5M coverage] and Workers’ Compensation Board (WCB) insurance. 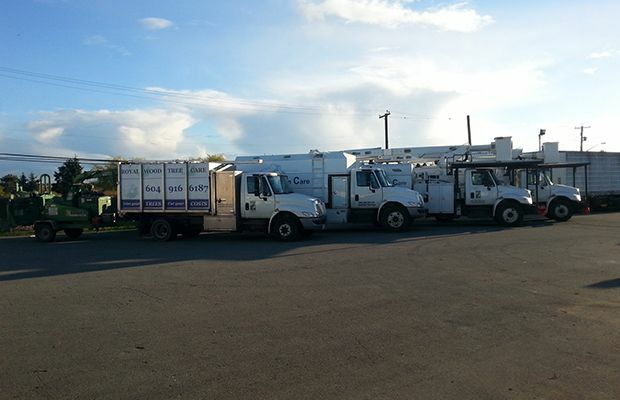 We maintain an excellent safety record, and are a WorkSafe BC COR (Safety Certificate Of Recognition) business. Your satisfaction is guaranteed when you entrust Royal Wood Tree Service with your tree care. 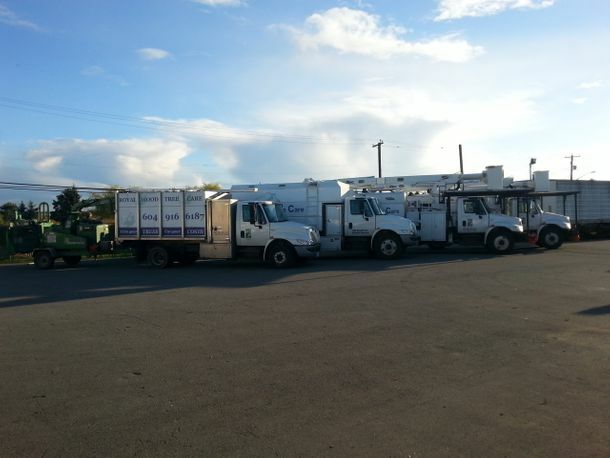 To schedule an appointment or request a free estimate, please contact us today!